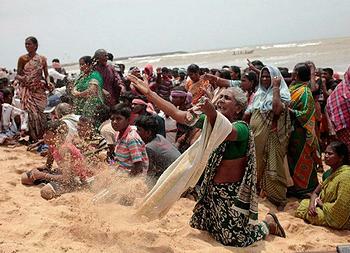 KOODANKULAM, Tamil Nadu, India, September 11, 2012 (ENS) – A young girl and a fisherman were killed in a protest Monday against the Koodankulam Nuclear Power Plant under construction on the Tamil Nadu coast at India’s southern tip. Fifteen protesters as well as 10 policemen were injured. Protesters say the violence erupted at the site of a peaceful fast against construction of what would be India’s largest nuclear power plant that has been taking place for more than 400 days. Director General of Police K. Ramanujam told “The Hindu” newspaper that protesters who marched towards Kudankulam would have attacked the nuclear power plant had the police not intervened. The protesters say they fear a Fukushima-like nuclear accident that would spread radiation throughout their communities. The central and state goverments say the KKNPP is perfectly safe. They say they have learned from the Fukushima Daiichi disaster in Japan following an earthquake and tsunami in March 2011 that forced the evacuation of hundreds of thousands from a 30 km radius around that nuclear plant. At the protest site Monday, Kocherry said police opened fire on Dr. S.P. Udayakumar, convenor of the nonprofit group People’s Movement Against Nuclear Energy, but Udayakumar, along with fellow protestors, escaped by lying on the ground. Fellow activists took them from the protest area by boat for their safety. The protesters base their objections on the fact that more than one million people live within the 30 km radius of the KKNPP which they point out exceeds the Atomic Energy Regulatory Board rules. It is impossible to evacuate this many people quickly and efficiently in case of a nuclear disaster at Koodankulam, they warn. “How can a peaceful agitation of villagers against a nuclear power plant in their backyard be a seditious activity? Yet an unprecedented 3,500 protestors have been charged with sedition,” says Nityanand Jayaraman, a prominent environmental activist based in Chennai. Former India Supreme Court Judge V.R. Krishna Iyer sent a letter Monday to Tamil Nadu Chief Minister Ms. J. Jayalalithaa imploring her not to commission the Koodankulam nuclear power plant. 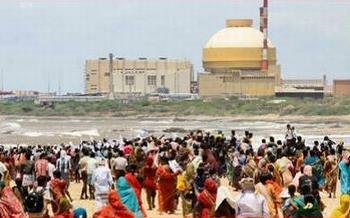 “On my bended knees for the safety of people of Tamil Nadu please halt Koodankulam plant,” wrote Judge Iyer. “Great Jayalalithaa your prestige is in the courage you demonstrate by stopping nuclear power and inaugurating a grand volume of wind power, tidal power and more than all the universal blessing of solar power,” the judge wrote. “The people of Tamil Nadu and lives and property are too great a value to be forsaken before the syndrome of nuclear Big Business…” he wrote. But Chief Minister Jayalalithaa said the police acted to protect themselves, the power plant, and also to prevent harm to the general public if the plant came under attack. 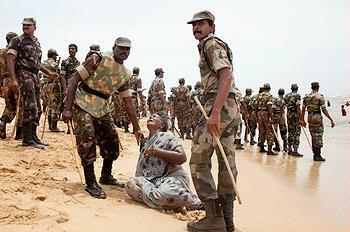 Jayalalithaa said the protesters should not agitate since the Madras High Court has approved the nuclear power plant. 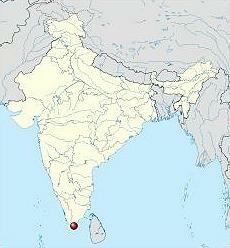 A joint India-Russia project, two Russian 1000 MWe VVER reactors have been installed at Koodankulam by Atomstroyexport at a cost of at least US$3 billion to date. Nuclear Power Corporation of India Limited, the plant’s owner/operator, says the “dummy fuel” is being removed from Unit 1 and live fuel loaded in, but the process has not yet begun at Unit 2. According to NPCIL, commercial operation should start later this month. When completed the two reactors will be the largest nuclear power generation complex in India, producing a cumulative 2 GW of electric power. Four more reactors are set to be added to this plant under a memorandum of intent signed in 2008 between Russia and India.